The power of stories can change our view of the world and our place in the world. Stories shape how others see us and move us to action. The Global Teen Twinning Program’s Joint Teachers’ Seminar demonstrated the power of stories — of the strength and glory of our Sephardic ancestors, of the catastrophic experiences that befell them during the Holocaust, and of how a handful of survivors have worked to rebuild this glorious and rich heritage of their Jewish experiences in their homelands. These stories were at the same time, powerful, sad, and inspiring. The Seminar introduced us to what happened in the 20th century to our Sephardic families. Thessaloniki, Greece, was once the largest Jewish community in the world with over 1,000 years of Jewish history, over 100 synagogues, 40 Jewish papers, and hospitals and schools. We learned that for centuries, the thriving Jewish community made up 50 % of the city’s population. We heard the dramatic and moving story of the Molho family and of their book store. Their daughter Nina described the city as one of “Jewish ghosts.” Educators from both L.A. and Tel Aviv walked respectfully, as if in mourning, to the train yard from which the Jews had been loaded into train cars and shipped off to die during the Holocaust. We heard the story of how the 90,000-member Jewish community became a tiny community of approximately 1,000 Jews. Sofia, Bulgaria was another once-thriving Sephardic center with a different story. How inspiring it was to hear that ordinary people, the people of Bulgaria, would not stand by and allow the Jews to be deported to concentration camps during World War II. Among the most powerful stories I heard were the personal family stories shared by my colleagues, the educators, and seminar participants, about their own families — the sharing of a family lullaby, recipe, heirloom, or nickname. The Jewish Federation’s Global Teen Twinning Program (GTTP) is the largest student delegation program in the Jewish world. Every year, 600 students in 6th-10th grades from 30 schools in Los Angeles, Tel Aviv, and Vilnius, Lithuania participate in this transformative program. The Global Teen Twinning Coordinators recently traveled to Thessaloniki, Greece, and Sofia, Bulgaria for the 16th Joint Teachers Seminar (JTS). 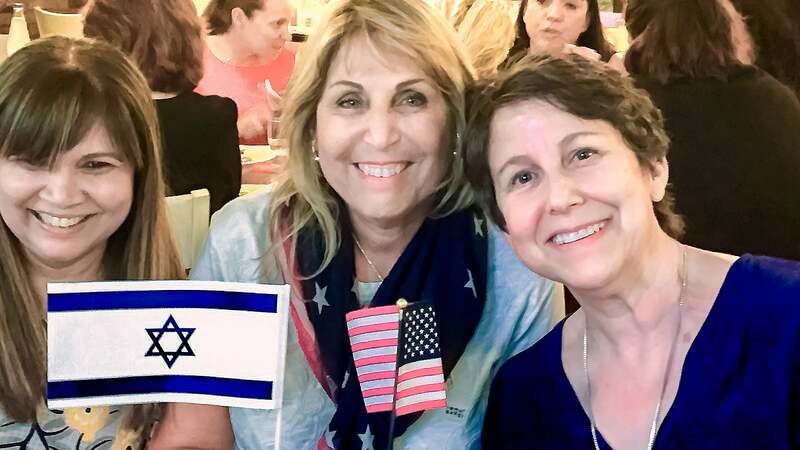 The Global Teen Twinning Program’s 16th Joint Teachers Seminar (JTS) was held at the start of July in Thessaloniki, Greece and Sofia, Bulgaria, bringing together 45 program educators from Los Angeles, Tel Aviv, and Vilnius. Through Federation-led workshops, meetings with local community leaders, and site visits, the Twinning coordinators expanded their knowledge of Sephardic Jewry, both broadly and in these specific communities, and worked together to identify practical, meaningful, and creative ways to apply the knowledge with future Twinning delegations. The JTS cultivated personal and professional connections and strengthened the relationships between all program partners as we head into the 2018-19 school year. To learn more, visit www.JewishLA.org/Twinning.